For Santa Maria we realized two food trucks: a ‘kitchen truck’ and a ‘branding truck’. Santa Maria sells herbs, spices and all kinds of blends. 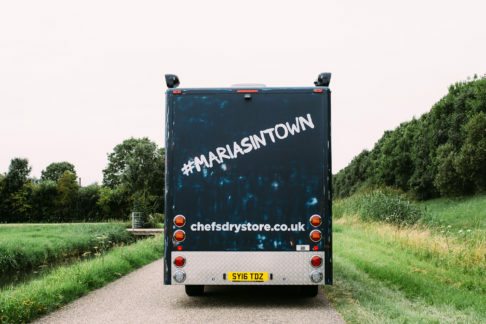 To show both professional and home chefs what you can achieve with the very best spices, Santa Maria is touring through the UK with the two trucks in the tour #Mariasintown. In the branding truck Santa Maria shows what she’ got and in the kitchen truck she lets visitors experience and taste.